Thoran is a dish of Kerala cuisine. This dry dish is prepared with one or more finely chopped vegetables stir-fried with coconut and tempered with mustard seeds, urad dal and curry leaves. 1. Heat oil and add mustard seeds. When it crackles, add urad dal and fry till dal changes color. Then add green chillies, garlic, ginger, curry leaves, asafoetida and fry for a minute. Add sliced small onions and fry till they become pink. 2. 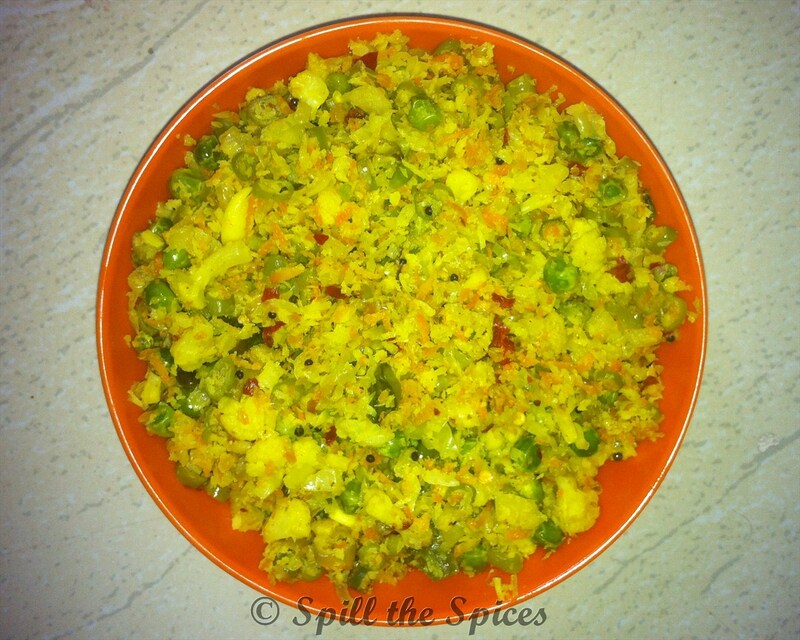 Now add the vegetables, turmeric powder, salt and mix well. Close and cook till the vegetables. Note that the vegetables should not be overcooked. 3. Once the vegetables are cooked, add grated coconut, red chilly flakes and stir fry for 4-5 minutes. Healthy dish and perfect with rice. Thx for linking to the event.